Teachers play a vital role in the development of children. Areas including cognitive, creative, and intellectual development may be honed first at home, but it is being harnessed in schools and educational institutions, as children spend more time of interaction and learning there. 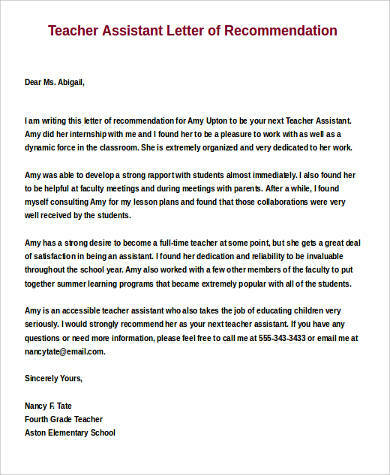 If you feel that your child’s teacher is doing his or her best to provide the best educational experience to your child/ren, a letter of recommendation should likely be written. Teachers do not necessarily need them, but it sure will boost their morale to do what they do best. 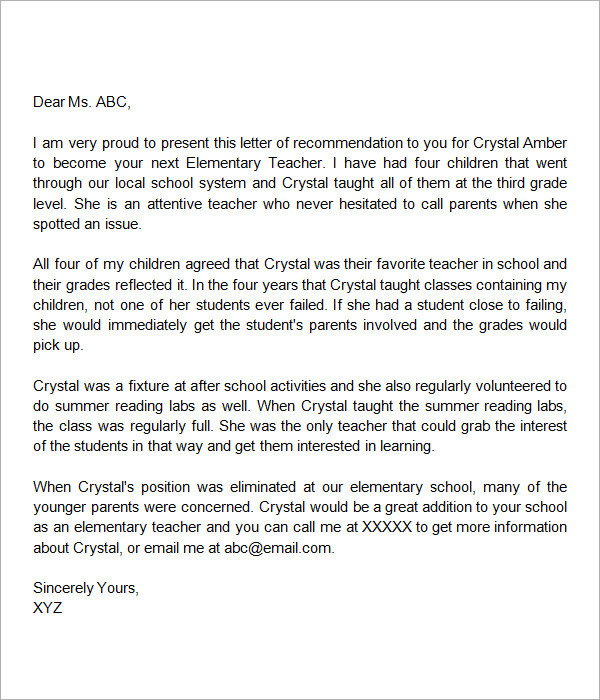 You may download Sample Letters should you want to get templates for the letters that you are to write. Child care. It is not only the intellectual growth of the students that a teacher looks after. Teachers also need to assure that their students are safe and is studying on a healthy environment. Hearing out concerns and problems of children. Giving life advice to the students. Parents select schools that do not only help their children be excellent students but be a good and law-abiding citizen that can contribute to the community as well. Standing neutral on student conflicts and resolving the matter. Great teaching skills. Nothing is more comforting for parents than know that their child is learning. Being a good role model to the students. Teaching kids valuable lessons. A lot of times, teachers need to go the extra mile just to assure that their students are emotionally all right. Creating a conducive space for learning during his/her subject time. 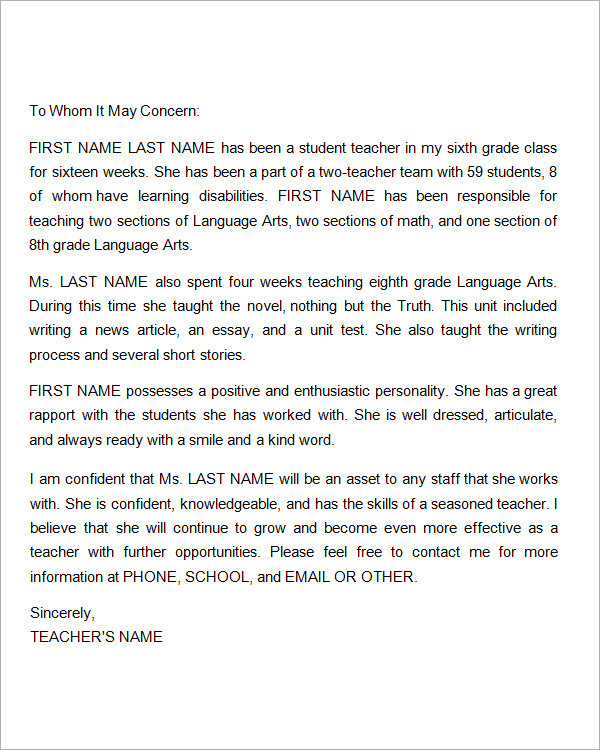 Students learn more when they know that their teacher also care for their well-being. 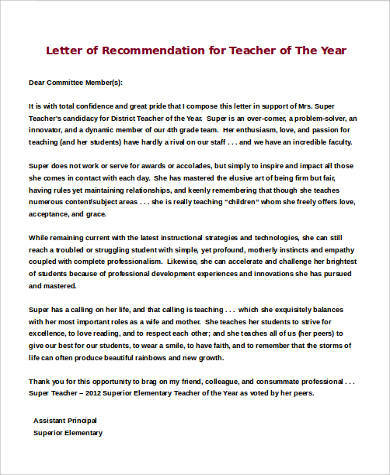 Giving a teacher a recommendation is just like sending her a character letter of recommendation. 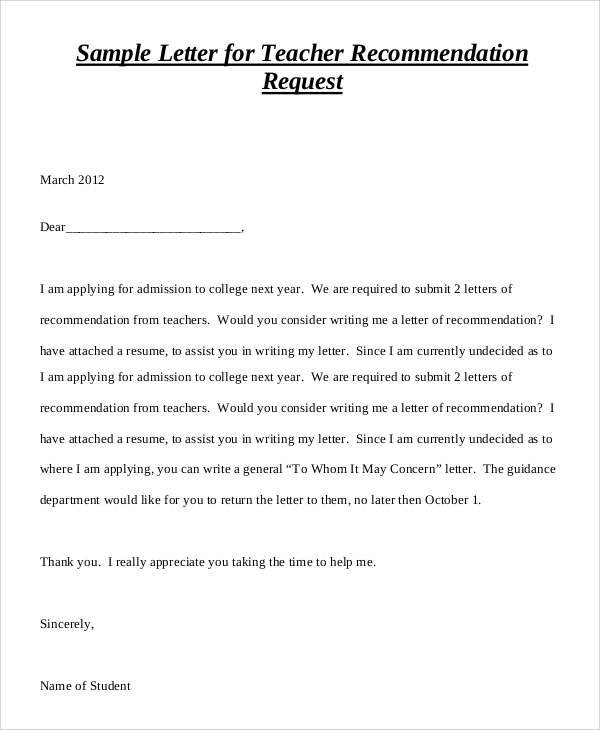 To know more about this, you may check Sample Character Letters of Recommendation. Past students. These students already know the teacher’s work ethics and teaching style. Present students. New students will be able to assess real-time performance of the teacher. Co-teachers and other faculty members. 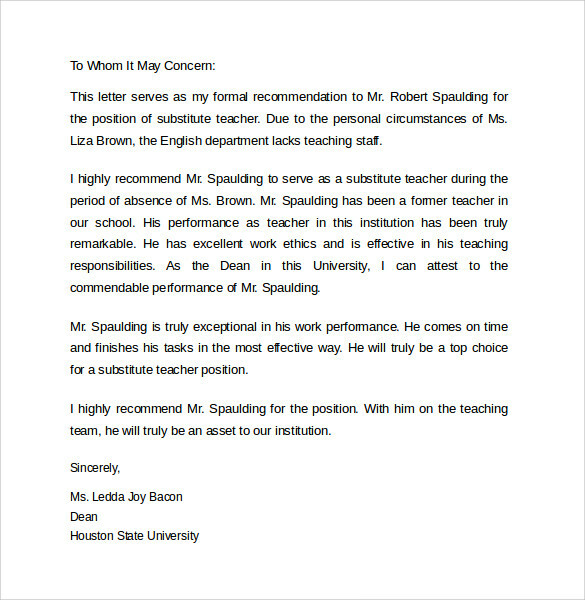 Colleagues surely know if a certain teacher is performing his/her job well. Parents/Relatives of the children she’s teaching. Children report to parents about what has transpired in school. 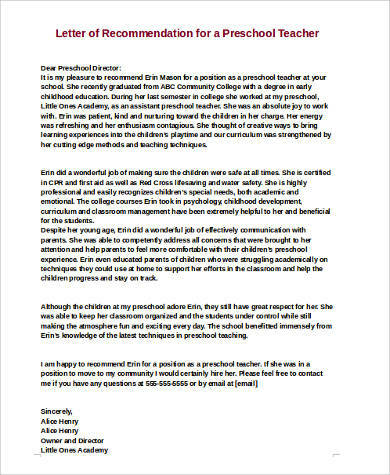 And when their children have a lot of great things to say about their teacher, parents in return are having positive thoughts not only about the professor but also about the school. Her immediate head. 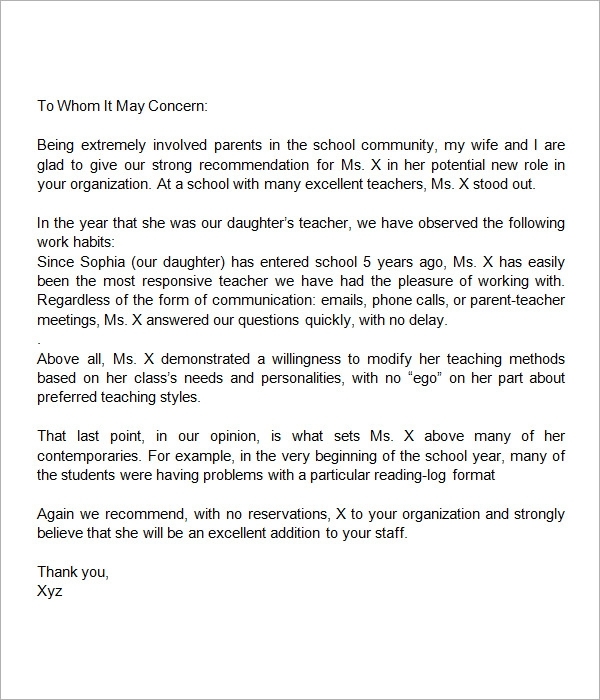 Teachers report to their immediate head. 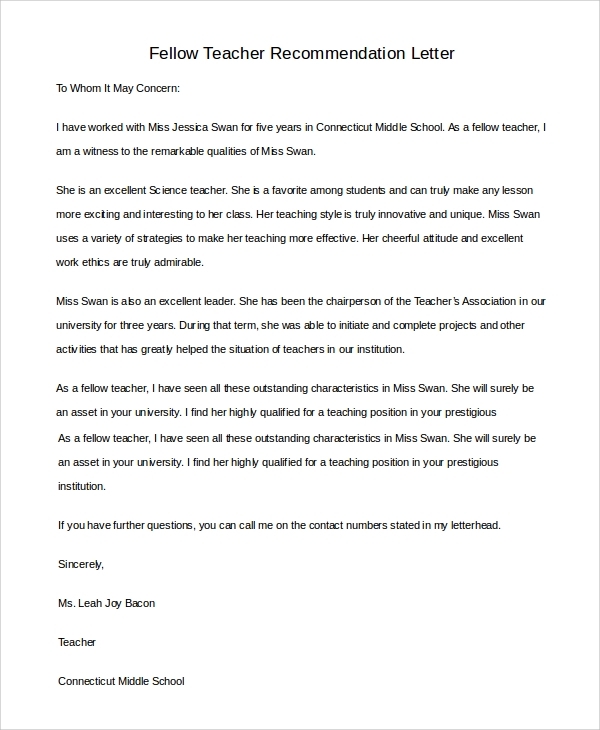 These people can be appointed or voted upon depending on the school policies, which make them the best people to write recommendations for a teacher that they think deserves it. 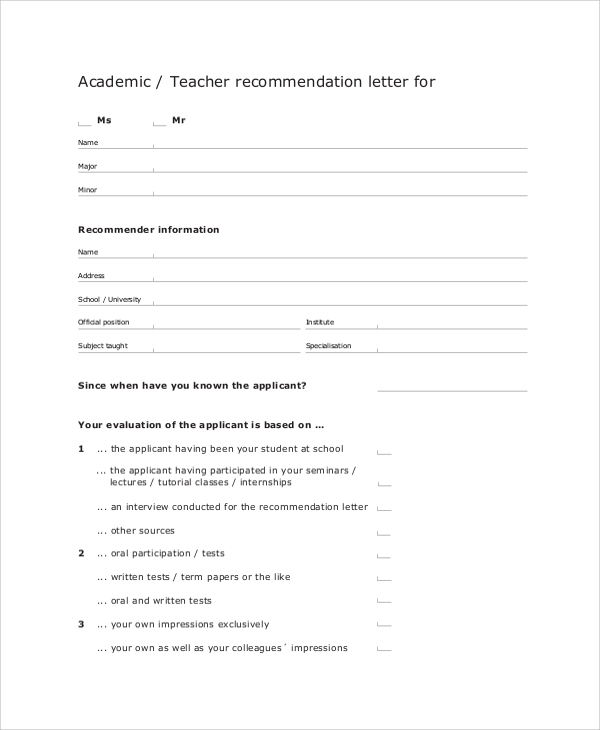 More than sample letters for teacher recommendation, we also have Scholarship Recommendation Letter Samples. Kindly go through the link should you be interested.